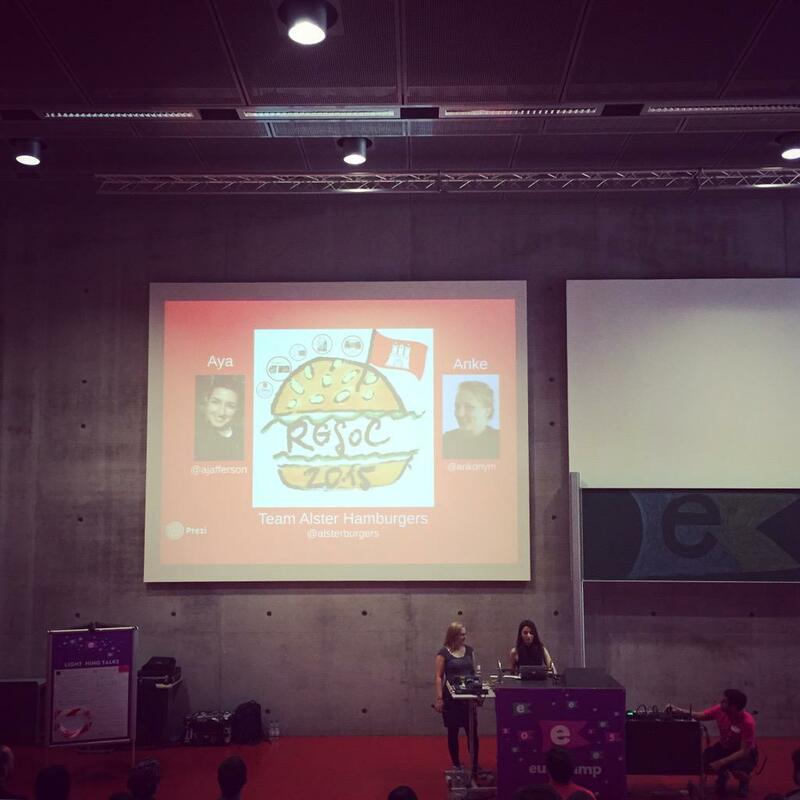 Eurucamp is over and it was awesome! It was great to meet other teams (it felt on occasion like participants, coaches, study groups, organizers and other friends of Rails Girls/Rails Girls Summer of Code made up half of the audience! ), hear a very interesting and diverse number of talks (from communication culture to teaching to code to coding as a live music performance), and hold our own lightning talk as well. (It got mentioned on the eurucamp blog! Things we learned: There is still so much cool stuff to learn! We should try and bring some of that amazing Rails Girls Berlin energy to Hamburg! And there is such a variety of skills and talents among other RGSoC teams!